Dr. Bradnee Chambers, Executive Secretary of the United Nations Environment Programme's Convention on the Conservation of Migratory Species of Wild Animals, describes ahead of World Environment Day (5 June), how small island states are vulnerable to sea level rises and other effects of climate change. Bonn, 3 June 2014 - It’s beginning to sink in that our climate is changing more rapidly than at any time in recorded history and it will have profound and irreversible effects on the planet. On World Environment Day on Jun. 5, let’s stop for a moment to consider in particular the devastating impact that climate change is having on small island states and their wildlife. Forty years ago Rachel Carson’s book, “Silent Spring”, helped launch the environmental movement. The image of a Silent Spring shocked readers because it evoked the idea that if we did not care for the environment then one spring very soon the birds would stop singing because they would have vanished. Today in order to gain support for critical environmental issues such as climate change, many complex integrated models and economic analyses have to be prepared to convince people that our climate really is changing. Let’s hope that it will not require small islands states to have submerged beneath the waves before the skeptics are convinced. Thinking back to a simpler age not so long ago – to the time when Carson wrote her seminal work – appreciation of the sheer wonder of nature was sufficient to move us to act. With what do we associate small islands? Blue lagoons, palm-lined golden beaches, coral reefs and majestic atolls. These tropical idylls are the epitome of beauty and part of their attraction as holiday destinations is their rich wildlife, much of which is migratory. 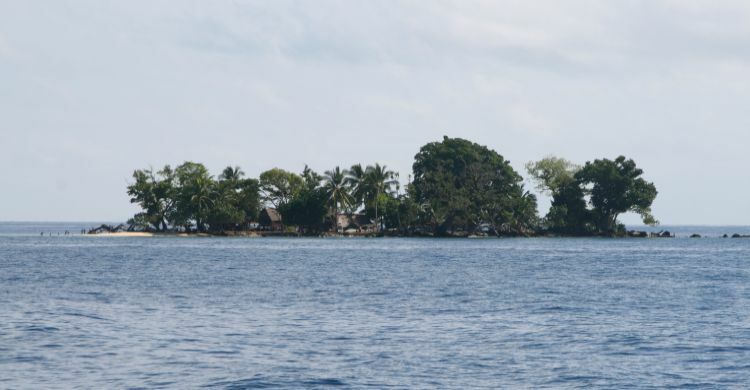 But the islands are vulnerable to sea level rises and other effects of climate change. And so too are the features contributing to their appeal and that includes the species that live on and around them. Migratory animals, which can be among the most vulnerable of all species because of their dependence on particular habitats at specific stages of their life cycles as they undertaken their epic journeys spanning continents and oceans, are subject to unprecedented changes. We are observing threats to migratory species caused by increased temperatures that will lead to the loss of vital habitat while at the same time oceanic food webs linked to changing zooplankton abundance are starting to collapse. So scientists are seeing the feminisation of marine turtle populations which will have an impact on the ability of turtles to reproduce. Large baleen whales such as the Blue Whale, the largest creature on earth, must make longer journeys between their feeding grounds in warmer waters to their breeding grounds in cooler parts of the sea. The whales’ main food source of krill is declining because of changes in temperature and acidification of the oceans due to climate change. Islands are critical stopover, nesting and breeding sites for migratory birds. Albatrosses that wander the oceans for much of the time seek out tiny dots of land to build their nests and raise their young. Islands provide much needed opportunities for rest and refuelling with food for birds flying between Eurasia and Africa – especially when the birds have completed their crossing of the Sahara. The evidence is heaping up telling us that climate change is happening and the reality is that the temperatures will rise. What we must avoid is rapid changes or temperature increases so severe that we cross a point of no return. This is a vitally important factor for species’ survival. Like humans, some animals can adapt and migratory animals are more likely to be able to adapt because they are mobile in nature and therefore potentially able to disperse other areas to mitigate environmental changes. This is why getting a deal in Paris for the post Kyoto Protocol is so critical. A global deal now would mean we can keep the planetary temperature rise within a manageable limit and then concentrate international efforts on assisting people and their ecosystems, including migratory species and other threatened species by climate change, to adapt if possible. If there is no deal, we will go beyond the manageable limits and we can foresee devastating impacts on humans and wildlife. On World Environment Day, let’s not forget the beauty that nature holds and just how very vulnerable it is, and know that the fight against climate change has many dimensions, including conserving the magnificent beautiful small island states and their wildlife. Sharks are moving into warmer waters outside their normal boundaries of their migrations, increasing the frequency of attacks on people. Warmer beaches are affecting hatching patterns of marine turtles: cool beaches produce predominantly male hatchlings while warm beaches produce mostly females.